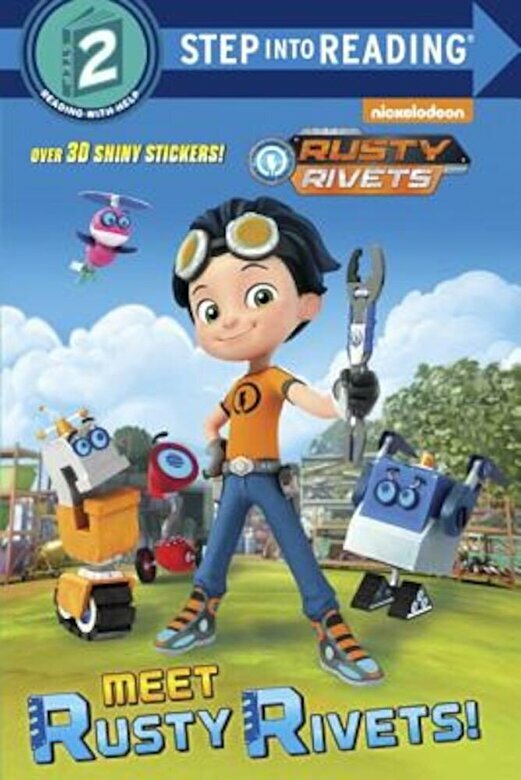 Prezentare Meet Nickelodeon's Rusty Rivets and his crew of robots Boys and girls ages 4 to 6 will love this Step 2 deluxe Step into Reading leveled reader with shiny stickers. Step 2 readers use basic vocabulary and short sentences to tell simple stories. For children who recognize familiar words and can sound out new words with help. Meet Rusty, a ten-year-old designer and do-it-yourselfer who solves problems using ingenuity and wild, innovative inventions. With his best friend, Ruby, his robotic pet, Botasaur, and their mechanical helpers, the Bits, Rusty helps to foster kids' interest in innovation, creativity, and the Maker Movement.